How to do some R&D with foods? My wife knows it very well. She can prepare anything using anything (I never knew I could eat them)! 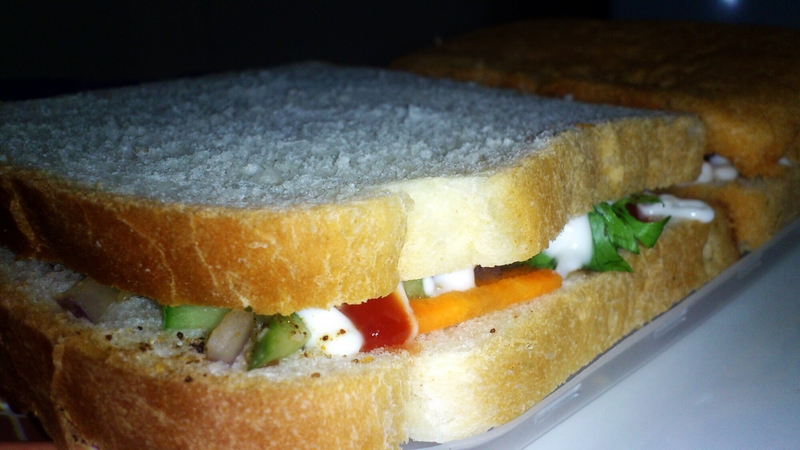 Two sliced bread stuffed with Garlic mayonnaise, Tomato ketchup, Chilly sauce, then some chopped Cucumber, Carrot, Onion, Green chilly and Coriander leaves. Salt to taste. Bingo! Ready for the big explosion in your mouth! !